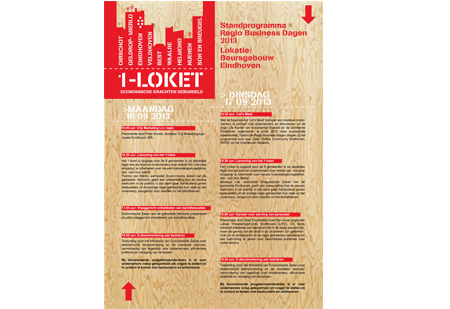 Lady Penelope designs, commissioned by the city of Eindhoven and the regional municipalities, the stand, logo and other other graphical expressions for 1-loket. The successful kick off of this new, practical portal took place during the regional business fair in Eindhoven. 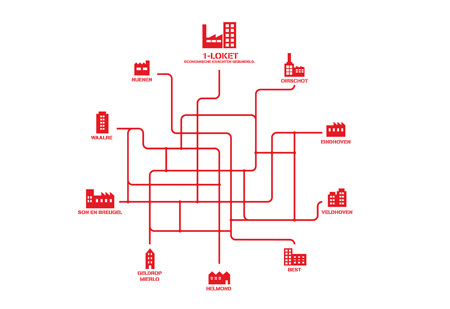 Commissioned by Eindhoven and the regional municipalities. The colaboration with Lady Penelope was very pleasant. The booth they created for the nine municipalities was very proffessional and fully answered our needs. They sportingly and professional handled our critical notes though it was not easy to work with nine different clients together. They did a super wonderful job!